Ohio is one the 38 states with “one party consent” law with regards to tapping phone calls and conversations. The Ohio Statute, Ohio Rev. Code 2933.52 states that, “it is a criminal offense to record or intercept any wire, oral or electronic communication without the consent of one party to the conversation.” With this law therefore, you may record a conversation when you are one of the parties to it even without the consent of the other party. You can also record a conversation between two parties if you have the consent of just one of them. In instances where there is no reasonable expectation of privacy during oral conversation, you can record such conversations without any legal repercussions. According to Ohio Rev. Code 2933.51, you have the freedom to record conversations taking place in public such as streets or restaurants given that you are not using a device that might pick up communications that either party would otherwise not hear. The law is not so clear about using recording devices in public meetings. It is however opinionated by the attorney general that such a recording is only permissible if they don’t interfere with the proceedings of the meeting. As a result therefore, recording devices are very common during most of the Ohio public meetings. 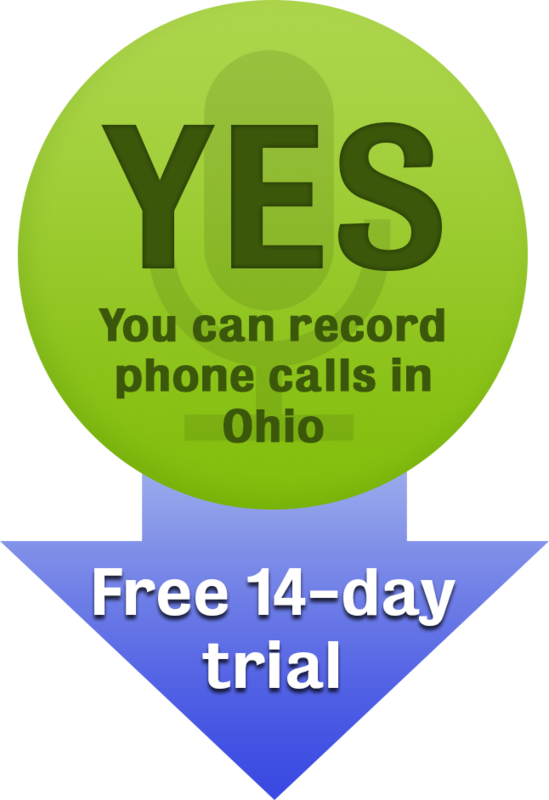 Since there is no specific law detailing the particular means or mode of recording phone calls in Ohio, this is exclusively for you to decide how to do it. Secure Speak is one of the best ways due to its efficiency, reliability, and anonymity. With it, you get a phone number that you can 3 way in into any call and record both ends of the conversation. Once the call is over, the recording is sent directly to your email address. You can try out Secure Speak today with a 14 day free trial before you subscribe and use it to start recording calls for free. Secure Speak is not a licensed lawyer and any statements do not constitute legal advice. Contact a lawyer for information pertaining to your specific case, and reference Ohio Code 2933.52 directly. Posted 3:53 am by Secure Speak & filed under Legal.